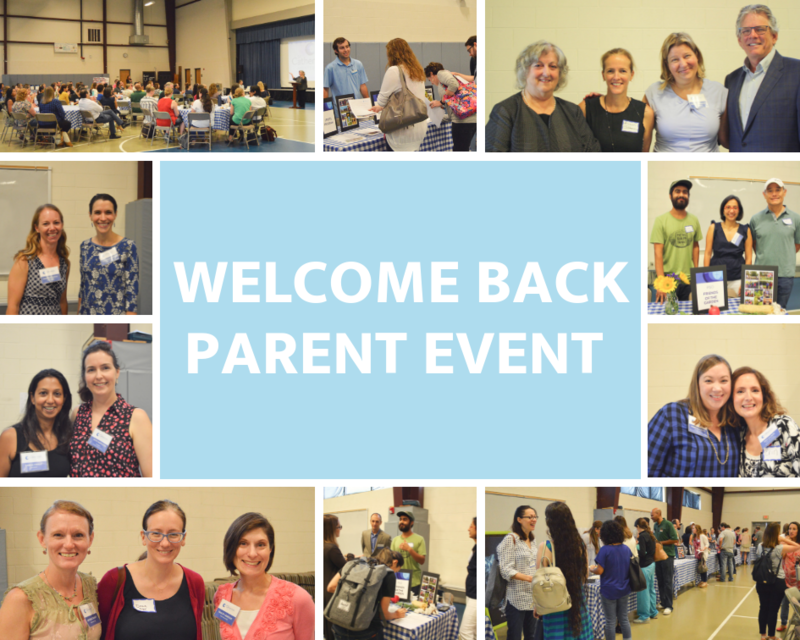 Thank you to everyone who attended the Welcome Back Parent Event on Friday, September 7! The morning was full of energy and excitement about the opportunities that will sustain and bring our community together this school year. Head of School Susan Tracy opened the gathering with a prayer and warm remarks about the journey we share as members of the St. Catherine's Montessori community, the legacy of generous parent engagement, and the everyday opportunities we have to help guide the development of our children by putting into practice the findings of Maria Montessori and Catholic values of our foundresses, Sr. Edna Ann Hebert and Sr. Shirley Owens. Susan closed the program by showing the short film produced last year by our High School students about Japhet Creek - St. Catherine's Outdoor Land Institute where the adolescents study sustainable energy, permaculture, and environmental stewardship. The event concluded with an informational fair of sorts, as everyone in attendance visited with representatives from various PSO committees, the Board of Directors, and upcoming special events﻿ to learn more and sign up to participate in the volunteer, social, and fundraising activities planned for this year. It was a joy to see so many come together as friends old and new, eager for what this school year with bring!